Absolutely in LOVE with these MUK LUKS ® Evrill Boots | Free Shipping $59.99 (Retail $115). 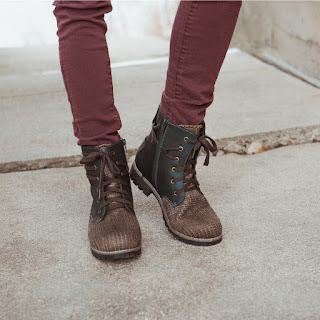 Soft yet fierce, MUK LUKS® Evrill Boots are the perfect addition to any fall outfit. Show your edge on the outside with water-resistant faux leather and metal details, while a secret soft faux fur leg lining keeps you cozy on the inside. Spot clean, no bleach, dry flat.